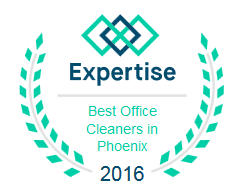 At Arizona Window Washers a professional window cleaning company, our vision is to be the premier window cleaning services company that you will be happy to refer to your friends, family, relatives, neighbors, and co-workers. Located in Phoenix, AZ, we are veteran owned and locally operated. We take pride in our work and our experienced, professional, highly trained and friendly staff is ready year round to serve your every property washing need. We offer the best customer service coupled with the lowest rates we can manage. There is no shortage of window washing companies around to choose from, but choosing Arizona Window Washers guarantees a qualified, trustworthy, and professional window cleaners with more than 10 years of experience in residential and commercial window cleaning. Our staff will provide you with spotless windows every time. We’re so confident in our abilities we are backed a 100% customer satisfaction guarantee and as well as screened and approved HomeAdvisor. Professional window cleaning company services. We always take the extra steps to communicate well to provide the best service possible. Our honesty and commitment to customer service combines with the best technical skills to exceed expectations. We go one step further than other companies ensuring all our products are environmentally friendly as well as pet and child safe. If you have any questions regarding our services, please contact us today. Your home is as important to us as our own, so we will ensure everything we do is done correctly, efficiently, and beautifully. We look forward to serving you.